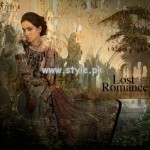 Ali Xeeshan is one of the talented and famous fashion designer in Pakistan, who has been running his Theater Studio of clothing since very past years ago.Ali Xeeshan is a fashion designers, who offers party wear, formal wear and wedding wear dresses for both men and women.Recently, after the great launches of so many collection, Ali Xeeshan eid collection 2013 has launched by Shariq Textiles. 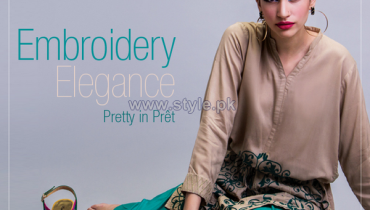 Shariq Textiles has launched their another eid collection just now, which will be available from 27th July 2013.Shariq Textiles has launched this collection which has designed by Ali Xeeshan.Shariq Textiles is to be considered as a leading and famous textile firm in Pakistan.Shariq Textiles offers seasonal and occasional under their different labels.Sharq Textiles has been mesmerizing women since year 2009 and this summer 2013, they have launched so many awesome collections.Now for the time of Eid-Ul-Fitr 2013, Ali Xeeshan eid collection 2013 has launched for women.This collection has also launched with collaboration of Shariq Textiles.In this eid collection 2013, Ali Xeeshan has added simple but fully eye-catching dresses for young and modern girls.Ali Xeeshan has embellished this beautiful collection with embroidery, prints and laces.The colors used for this collection are mostly bright such as orange, green, red, maroon, white and etc etc.These all shades makes the collection outclass and marvelous.Girls! you can now give you a stunning look on the day of Eid-Ul-Fitr 2013 by wearing these dresses because of their cuts and high ends.Girls!! just wait a bit here and have a look at this collection by Ali Xeeshan here below..
Ali Xeeshan Eid Collection 2013 by Shariq Textiles. 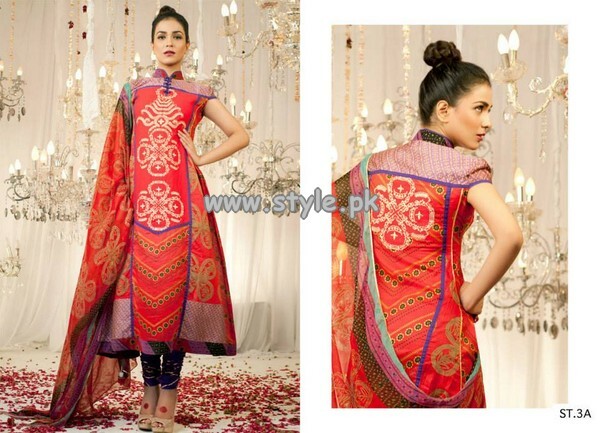 Shariq Textiles Eid Dresses 2013.